Gale Bingo employees from the Belle Vue bingo club situated in Manchester bared all last Saturday night, all in aid of help raise cash for little girl called Ruby Tanswell. 18 Month old Ruby was diagnosed with a rare tissue cancer back in 2010 and has since undergone three operations and is currently receiving chemotherapy. When Ruby fist became unwell and was taken to her GP, she was turned away as they thought she just had a cold, sadly though this was not the case. Gala Bingo employee Frankie McMahon first heard about Ruby’s plight in his local newspaper and he come up with the idea of doing to (full monty) to help raise cash at the Gala Bingo club for the little girl. Ruby is in need of specialist treatment and ever little raised for her really helps. The charity fundraising event put on by Gala Bingo and which involved five of their employees striping off raised a total of £1,337 on the night, with lots of their customer digging deep in support of the event. Gala Bingo said that they had a packed house ( double is usual Saturday night crowd) so lots of their members obviously also turned out to see the boys get their kits off, whilst at the same time helping to raise much needed cash for little Ruby. If you would like to add your own donation to Ruby’s Plight you can still do so either by paying a visit to the Gala Belle Vue Manchester in person or by giving them a call on 0161 2237770. 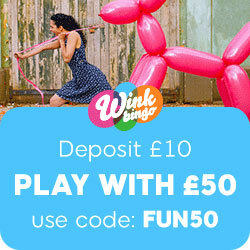 This entry was posted in Bingo News and tagged Gala Bingo on January 17, 2011 by Emma. Ladbrokes Bingo are the proud sponsors of the Mobile Snooker Masters tournament this year and we can reveal that this set them back a six figure sum. The Snooker Masters has entered its 37th year and it has provided snooker lovers with some of the games most thrilling and exciting moments. By the looks of it Ladbrokes PLC are already heavily involved in sponsorship deals this year as they were also the proud sponsors of the World Darts Championships, which took place in Alexander Palace. Adrian Lewis, better known as (jackpot) Lewis won the World Darts Championships in a thrilling finale………..Prince Harry even watched one of his games and give him a hug when he walked off stage after winning. So Ladbrokes Bingo have gone from the Alexander Place in London and crossed North to Wembley to also sponsor the Snooker Mobile Masters. The mobile masters features the top 16 snooker players of the world and it runs until 16th January. World Snooker Chairman Barry Hearn commented on the Ladbrokes sponsorship deal, he said; “We are delighted to continue our long and successful partnership with Ladbrokes with this sponsorship of the Masters. With eight days of solid live and highlight coverage on the BBC as well as blanket live coverage in over 50 European countries via Eurosport, the Ladbrokes Mobile Masters is one of the most eagerly anticipated tournaments of the year. Gary McIlraith, Managing Director of Ladbrokes, said: “We’re thrilled to extend our sponsorship activities with Barry Hearn and World Snooker. We are very excited by the re-launch of World Snooker and feel it provides us with a great opportunity to promote our mobile applications which are showing tremendous growth and continue to be a key sales channel for the future. As we have seen in the past sponsorship deals of this kind can be very lucrative for the gaming company involved and Ladbrokes certainly seem to pull off some of the best sponsorships around. This entry was posted in Bingo News and tagged Ladbrokes Bingo on January 13, 2011 by Emma.